Due to increased Force Protection Measures, you must use the Tye Gate to enter and exit the Base. Normal Tye Gate Hours are: Monday - Friday, 5:30am-5:30pm. 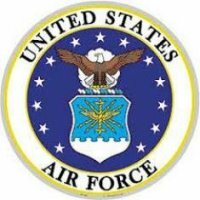 If you are entering or exiting the base after hours you must contact Security Forces at 325-696-2131 to exit or enter the installation through the Tye Gate. ---- From the East: While on I-20, take exit 283A (U.S. 83/U.S. 277), which is a left exit off the interstate. Follow this road to the Dyess Air Force Base exit (S. Seventh Street). Turn right onto S. Seventh Street and go about 1½ miles to the intersection of South Seventh and Arnold Boulevard. Turn left on Arnold, getting into the right hand lane, and go one block to the intersection of Arnold Boulevard and Military Drive. Turn right onto Military Drive. The Tye Gate entrance to the base will be a couple miles down the road on your left. 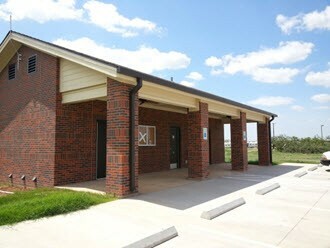 ---- From the West: While on I-20, take exit 279 (Business I-20 toward Abilene ). Follow this road to the Dyess Air Force Base exit (FM 3438). At the end of the exit, turn right onto Arnold Boulevard . About ¾ mile down is the intersection of Arnold Boulevard and Military Drive. Turn right onto Military Drive. The Tye Gate entrance to the base will be a couple miles down the road on your left. ---- Once thru the Tye Gate go to Avenue A and turn left. Proceed to the traffic circle and take the 3rd exit onto Arnold Blvd. Drive past the aircraft display on the left toward the main gate. Once past the display turn left at the traffic light onto Louisiana Rd (toward the hospital). DO NOT GO PAST THIS INTERSECTION! Good but small campground with concrete pads and car parking spots at each site. The sites look short but a 45' coach will fit in the pull thru spots. Our biggest complaint is the lack of any base signage to the FamCamp. Once thru the Tye Gate go to Avenue A and turn left. Proceed to the traffic circle and take the 3rd exit onto Arnold Blvd. Drive past the aircraft display on the left toward the main gate. Once past the display turn left at the traffic light onto Louisiana Rd (toward the hospital). DO NOT GO PAST THIS INTERSECTION! If you drive too far you will not be able to turn around or exit the base thru the main gate due to a ridiculous number of barriers. The FamCamp has a small sign on the right side past the hospital. This campground was adequate for an over night stay. I put cleanliness/hospitality at 3/5 because the grass was very tall and we never saw a camp host or outdoor rec person. We dropped our payment in a mail slot in the office. Amenities 4/5 because they had a clean and working bath house and laundry room, but no shade or really any type of landscaping other than the tall grass. Just very basic. Value is a 2 because it was $35 a night which is the most we've paid outside of Washington DC, and that is for a gorgeous campground with fishing piers and walking access to a wonderful outdoor rec. There really was nothing special here to justify the cost. This is a very nice FamCamp except - $35/night in the middle of west Texas is a LOT pricey. I could list all of the FamCamps we've stayed at for a lot less but $35 is overpriced. I am not sure who setup the pricing format but $35/night, $130/week and $395 per month is sorta silly. With that said, this is a clean well spaced park with concrete pads. Given the hassle with getting in and out, we'd probably stay at the nearby KOA the next time even though staying with military is family. So staying somewhere else is hard for me to say. 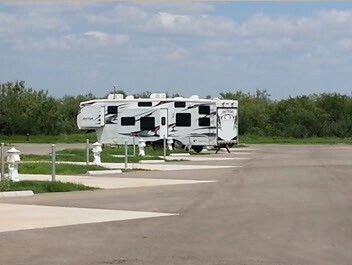 Clean and well maintained campground.Similar to many military FamCamps, a large parking lot with sites.All hookups working well.Laundry and bathrooms at the beginning of the area were clean. It is an open area and if the winds are blowing (as they were when we were here) you'll be in a wind tunnel. They do now have WiFi, with 2 different connections,WiFi 1 and WiFi 2.Unlike a previous poster stated, you do need a password, so need to call when you arrive to get it. WiFi2 had a much stronger signal for us, but unfortunately were only able to connect to it once. WiFi 1 was extremely slow, no bars connection that disconnected every few minutes. FamCamps are a great deal, this one definitely is overpriced.We just left Fort Smith,Arkansas @ $8.50 a night in a wooded lot overlooking a pond and golf course.Next stop White Sands at $10 a night.Do use only Tye gate when entering or exiting with your RV. All in all a nice FamCamp. They have placed barriers at the Main Gate and all RV’s must enter the Commercial Gate (Tye Gate) on the North side of the base. Coordinates N32.43871/W099.84536. Update to those who have been here before, they now have WiFi which is strong and solid. The areas are clean and well taken care of. There are no trees and most here are permanent including one unit that has the tires rotted off. We are pleased with the location and facilities. Easy to access through the gate, very nice base and pleasant staff. The cost seems a little high for a Famcamp, but not unreasonable. Nice place, especially coming from El Paso heading East on 20. The price was not much of an issue but without WiFi its high. It gets off set since w stayed at Gila Bend for 10 bucks and Ft Bliss for 17 bucks a night. Loved the pads with lots of room for my 40 foot Newmar. I have a handicapped accessible unit and we picked a spot that as easy to get in and out of. Never once saw a camp manager Just slipped the paper in the door slot. The spot I was assigned was taken so I picked a different one. Thankfully one was open. That’s why I marked down in hospitality. All in all had a good stay but would have been nice to have actually met the camp manager. Dyess FamCamp is overpriced for the area, for the campground, for the space, and for what it offers. Many much better, much nicer Famcamps are way less money. This is basically a parking lot, with short sites, spaced closely together. The back in sites are not even numbered so that those of us arriving with reservations can know which site to park in! How hard is it to number the sites??? Sites are short, and pretty close to neighbors considering the vacant base land all around. There are many homesteaders, and they occupy the pull throughs. Why do long term stays have pull throughs, while visitors have the back in sites? Move the homesteaders to the back ins! Let those passing through have the pull through sites! Sorry, we need to compare Famcamps to Famcamps, not Famcamps to billeting/lodging rooms. The "immaculate shower facilities" don't even have hand soap at the sinks! The information board on the outside of the laundry/shower facility has no information on it. The folder with "base maps" inside the laundry room has no maps in it. We have stayed in Famcamps across the nation, and even at $25 per night this one would be overpriced. Truly, this Famcamp is a disgrace in the overall system. It saddens me that Dyess has overpriced for the area, while offering so little for the high price (as FamCamps go). I planned to move the VFW off base near the gate, but they are 100 percent full. I certainly see why the VFW campground is full, and the base FamCamp is not. By the way, the "very cute power/water towers at each site" are a industry standard on newer campgrounds. I see the exact same "very cute power/water towers" very often in our travels, including many FamCamps. The only thing saving this campground is the homesteaders paying by the month. I certainly will never return again at a daily rate again at the price gouging on here. And that is a true shame as this is the base I retired at. Call the VFW and if they have space to go there instead. I can see why so many others have done EXACTLY that. Come on folks, it is 2017 ,not 1967. 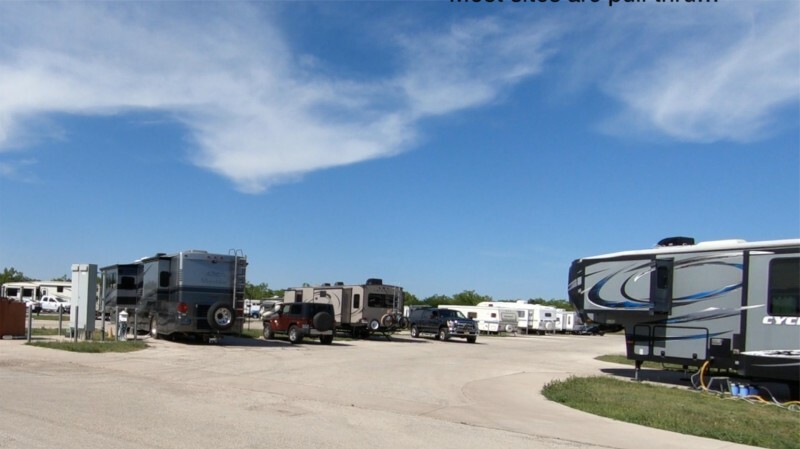 Yes, the price is more than most RV facilities on military installations. Get over it; have you stayed in billeting lately? 60 bucks a night when most of old-timers remember when it was 20. For 35 dollars you get a clean campgrounds with pull-throughs on a safe AFB with immaculate shower facilities and very cute power/water towers at each site. No, the place has no ambiance but it sure is clean and well thought out. Yes, it could use some trees. We came in late on 10/12/16 looking for a site and all sites were full and parked for the night at the VFW parking lot and went back to Dyess campground on 10/13/16 and was able to get a site. We were not told we could only camp there for 1 night and they did not ask how many days we needed. The next day we went to the office to pay for that day and several days more as we were visiting relatives in the area and were told we had to leave as the site was assigned and no other sites were available. We could see that most sites were homesteaded one even having a full size freezer next to the camper. It appears that these sites are homesteaded and there is no arrangement for people who come in to camp for more than a day. We were also told that we couldn't pay by credit card or debit card as the machine was broke. Thankfully we had paper checks. This campground is poorly managed and there are mostly long term people living there. Don't bother to stop because if you need more than 1 night you will be disappointed. Way too many living there full time. Also it is located in an open field with no shade at all. The nightly rate is way out of range for nothing really to offer you except a small bath house and laundry. 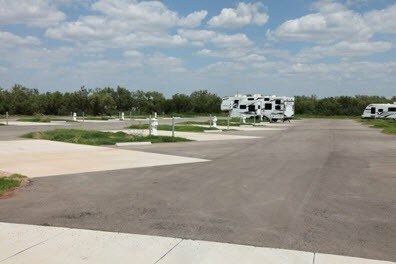 We stayed at a resort campground with water front parking for less than we stayed at Dyess for 1 night. The resort had amenites galore. We also had to stay at the VFW campsite our first night in town because Dyess had no sites. The VFW was very very nice and accommodating and seemed to have their act together for campers coming in at night. Way to go VFW! Dyess could learn something from you all. Dress also charges $35.00 a night and if you stay a week it goes down to about $18.00 to $20.00 per night. So now we see who they are catering to. I guess they get their money off of those who can only camp for less than a week because they have no available sites for a week and the homesteaders get the big breaks. $35 a night is pretty pricey for where you are at. No views of really anything. Just a bunch of bunnies hopping around. I payed $21 a night at mayport naval station and it was right by the water in Florida. Ok not a fair comparison but I think $35 is a bit much. Facilities were clean and place was all new nice grounds. Large airforce plane museum on base and large exchange and commissary. There are after hour instructions to make a payment but no camp host which is strange but everywhere you go is different. Also if you have a non military guest with you must obtain a guest pass from the visitor center. Again different base rules. I decided I'd rather dry camp the cost was $15 a night. Overall, it was a good experience in a nice new campground with a good staff. If you thought the price at $35 a day were keeping people away, you would be wrong. The majority of 'campers" here seem to be permanent party living out of the cheapest vehicle they can find on wheels. Diesel trucks idling in the early morning hours as these people get ready for work, make one wonder why they call it a FamCamp instead of a trailer park. There might have been four sites for actual campers to rotate in and out. Outdoor Rec people say the dry sites will someday be FHU sites. There is also a site in front of Outdoor Rec that can be used with water and electric while you wait to move into a FHU site. We stayed here two nights on the way from southern New Mexico to Dallas, TX. Small campground, but spacious enough sites. The campground near the hospital and close to the Arnold Street Gate so don't have to drive through the base to get to it. The road to the campground is currently torn up for construction. We were warned about this when we called the office to get our site number. The road is narrow and parts of it one-way. We left before the road crew had their machines on the road at 7:00a as otherwise it could have been a tight fit, or even require the crew to get the equipment off the road for us to pass. Helpful people in the office. Free wi-fi, but we found the speed extremely slow. Rated the amenities as 3 based on average ratings from previous reviews since we did not use them ourselves; would be nice to have an option that allows bypassing this particular rating. Overpriced IMHO, but probably comparable to or perhaps less than private campgrounds in Abilene. I thought this was MWR funded. Since when is $35 a night with bare minimum hookups worth that. I can get a full hookup beach front site at Del Mar Beach CA on Camp Pendleton for $40 a night with a ocean view and sand. If you plant some trees and get wifi it may be worth the $35. Oh they have over-flow with 30 amp, water and no sewer for $30 on the street. LOL Come on Dyess MWR do some research and see what other Famcamps have to offer their guests. Positives about this campsite - on a military base and near facilities; clean bathrooms and laundry room; level sites and good hook-ups. Negatives about this campsite - no trees - in the summer, this place would be extremely hot; several long-term campers - some were neat and tidy, one or two were not; needs more signage for where the check-in office is located. The biggest negative comment about Dyess campground is the price - $35 per night. We traveled from NC to UT, and Dyess was the most expensive campground we stayed in - and it is really just a parking lot with hookups, nothing fancy. Called ahead, reserved a site for 4 nights, paid for first night with cc. After a long, hot drive we arrived to find our assigned site occupied. Camper claimed to also have paid for the site. Called office and was told there had been a mixup. No kidding. Gave refund and allowed us to use dump station. Fortunately, my wife had spotted an RV park at the VFW across from the main gate. They were very accommodating. Mar 1, 2015 - ?? The customer service is unbeatable! Staff very friendly, helpful, and knowledgeable. 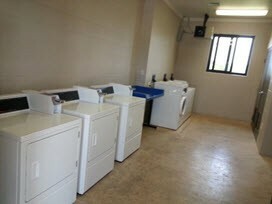 Bathroom/shower house, and laundry facilities immaculate. Very nice level concrete pads, with a sizeable side yard. Nice picnic tables and grills provided. Large pond full of catfish with a fountain, nice walking trails and playground area. Very close to the BX and commissary. We will definitely stay here again! Highly recommended! I have to agree with the other reviewers on the lack of management for this location. We called twice on our way into Abilene to ask about availability, etc. The calls went straight to voice mail and we did not receive a call back. We arrived at 1500hrs and found the park completely full. A simple return call to let us know they were full would have been very much appreciated! As far as the campground - it looks like a nice place for a short stay. I agree that the pads are a bit short if you don't want to disconnect. However, the dedicated parking spot for your toad are a nice touch (how many times have you set up and then tried to figure out where to park it?). Although others have complained about the lack of attention they received by the manager when they arrived, I didn't count that as a negative. When we arrived there also was no one at the office to sign in with, and no indication of where I should park, I just selected a site, parked, and went to sign in the next morning. No problem. I agree that $35.00 daily is high, but we stayed for a week for $130, which figured out to be $18.57 a day;hence the 5 rating for value. If we had had a Frequent Camper coupon the average would have been even less. That park was the last for us to complete tier 6 of our book, so we bought a new one to start again. They do have the books, and promote the program; some bases don't have the books. 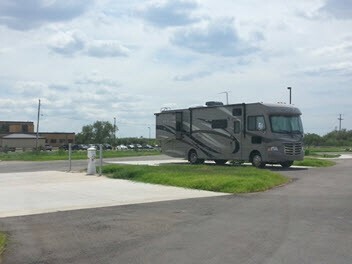 The campground is new and therefore looks nice, and the sites are concrete and level. As noted, the sites are short. Each site has its own dedicated parking spot for a tode. Satellite works at every site. The base has hardly any amenities,including no club, and the dining hall was closed for renovation. 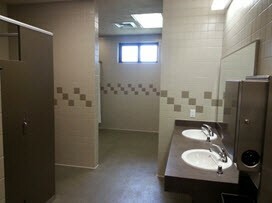 The restrooms and laundry were neat and clean. As you drive toward the main gate, suggest you stay in the left lane, as it appears to be wider. The barriers were not a problem. I'd stay again, but not at the daily rate. There are some homesteaders, but there were still sites available. Spent 1 night in motorhome arriving Sunday. As noted by other reviewers, for a new FamCamp this is the worst managed military CG I have ever stayed. There were no instructions and no one around, we drove to Outdoor Services, closed, no instructions posted, so we drove back to CG and picked our own spot. Many homesteaders. There are pull thrus but our 38 ft with tow had to be disconnected to fit. The next morning Outdoor Services didn't open until 9am so we left after leaving a message. Tuesday they called for a credit card number. The only positive is that the location is close to interstate. Won't stay here again. Management needs to find out how to run a military campground.